“UIP is excited to be moving into Southwest Washington. 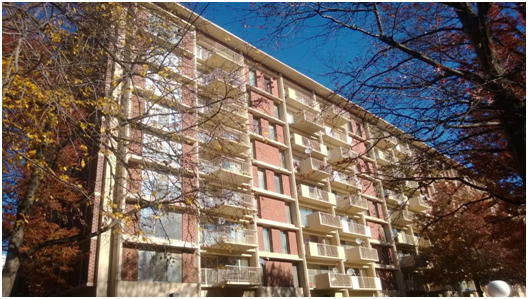 We’re very pleased to have reached an agreement with the New Capitol Park Towers Tenants Association that allows for us to preserve another rent controlled property while providing residents with meaningful improvements at the property with no rent increases outside of standard annual increases under rent control,” said Steve Schwat, Principal at UIP. UIP General Contracting, Inc. (www.uipgc.com), a subsidiary of UIP, will perform the renovation work. UIP subsidiary UIP Property Management, Inc. (www.uippm.com) is property manager. Founded in 2004, Perseus Realty specializes in the acquisition and development of office and residential assets within the Washington, DC metropolitan area. Since its inception, it has owned and operated over one million square feet of space with an additional one million in its development pipeline. For more information, please visit www.perseusrealty.com.